Minnesota Valley Action Council, Inc. (MVAC) is a community action agency. We are for communities, not for profit. We have served the people of south central Minnesota since 1965. We believe that hard work should be valued and rewarded, that working people are struggling and that MVAC provides solutions. We develop resources and opportunities that empower people in low-wage work to secure affordable housing, viable transportation, employment, training for employment and educational opportunities for children. 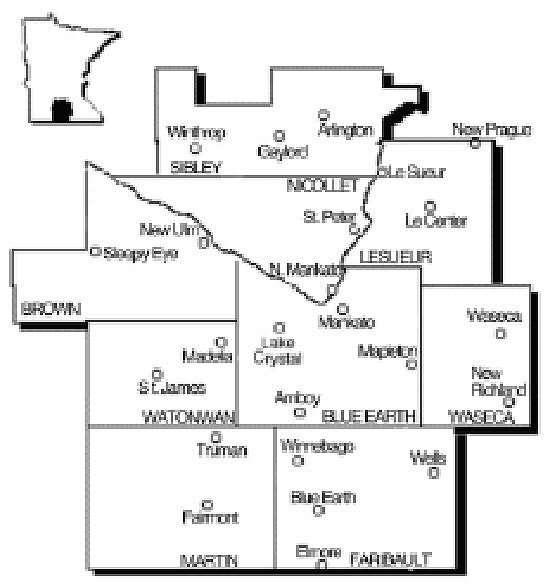 MVAC provides services in Blue Earth, Brown, Faribault, Le Sueur, Martin, Nicollet, Sibley, Waseca and Watonwan counties.